This compact easy to grow dwarf weigela will provide interest throughout the year at the front of borders. Bright red tubular flowers that bloom from spring and into summer stand out against dense dark green foliage. As the flowers fade in late summer, the leaves spark into shades of red and orange. Height 50-60cm. Supplied in a 7.5-10 litre pot. This compact easy to grow dwarf weigela will provide interest throughout the year at the front of borders. 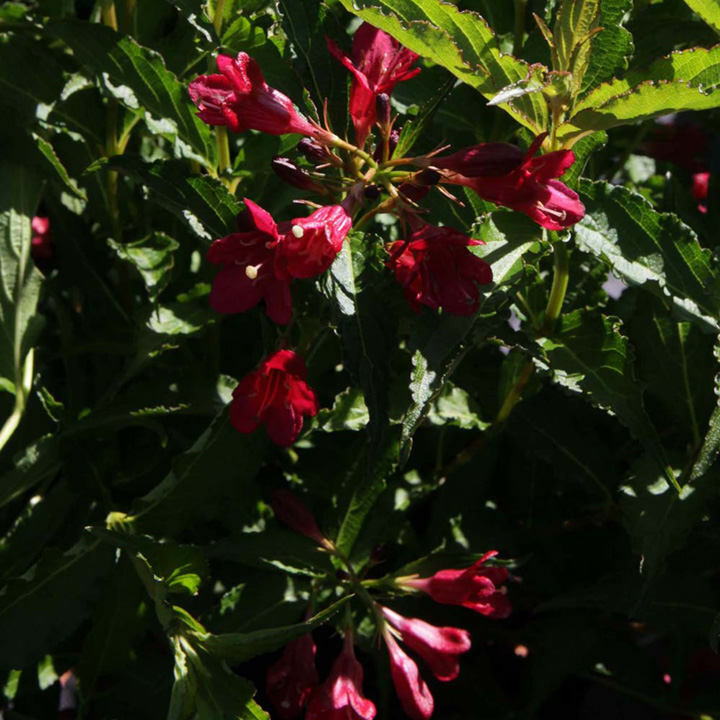 Bright red tubular flowers that bloom from spring and into summer stand out against dense dark green foliage. As the flowers fade in late summer, the leaves spark into shades of red and orange. Height 50-60cm. Supplied in a 3 litre pot or 7.5-10 litre pot.